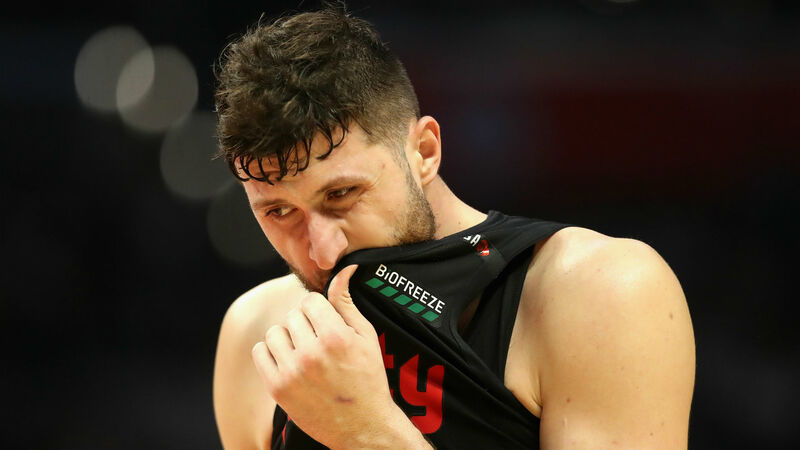 Jusuf Nurkic suffered a gruesome leg injury in the Portland Trail Blazers' 148-144 double-overtime victory against the Brooklyn Nets. Trail Blazers center Nurkic went up for a rebound in the second overtime of Monday's NBA game before coming down awkwardly and collapsing to the floor. Nurkic was carried off on a stretcher as the arena fell silent and did not return. Portland fans gave Nurkic a standing ovation as the Bosnian was taken back to the locker room. The Trail Blazers later sent out a message of support on Twitter. Nurkic recorded 32 points, 16 rebounds and five assists in the win over the Nets in Portland.